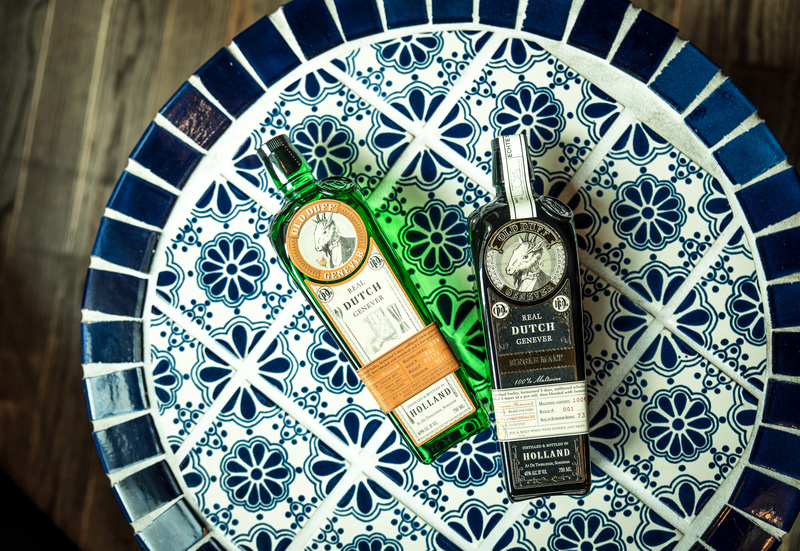 In a bid to help popularise genever, Philip Duff launched his own brand of genever, exclusively available in the state of New York. Old Duff Genever is an homage to traditional, authentic genever as it was made in the 1800s. Duff, a well-known bartender, educator and consultant, has created two different expressions. Both his Old Duff Genever and his Old Duff Genever Single Malt are fully milled, mashed, fermented, distilled and bottled in The Netherlands. Much has changed since, as genever is steadily winning concerned drinkers over. During his time in The Netherlands, Duff did a lot of work for Bols and was instrumental in the re-introduction of Bols Genever in the US market in 2008. Launching his own genever brand has been a dream of his for years. What makes Old Duff Genever stand out, is Duff’s insistence on making his own product ‘historically accurate’. As a student of genever’s history, it was important to Duff to create a drink true to its origins. That’s why he wanted it to be 100 per cent produced in The Netherlands, as most maltwine used for Dutch genever is made in Belgium. In family owned company Herman Jansen and its distillery, De Tweelingh, he found a willing partner for his project. Duff was adamant to release a 100 per cent maltwine genever, since that is how genever was produced centuries ago. That led to the creation of Old Duff Genever Single Malt. Studying old recipes, Duff decided on a maltwine consisting of two-thirds rye and one-third malted barley. Distilled three times in traditional pot stills, the only botanicals used are juniper and Bramling hops. The Old Duff Genever is a mixture of 53 per cent malt wine and 47 per cent grain spirit, the latter being distilled from wheat. It has more citrus influence than its single malt sibling, containing botanicals such as orange and lemon peel, as well as juniper, star anise, liquorice and coriander. Currently available in the state of New York at Astor Wines, Old Duff Genever is also stocked in each of the World’s 50 Best Bars in Manhattan. Duff will launch his genevers in London bars as well. The launch of a new promotional campaign in the United States should ultimately lead to an official American classification of genever. The three-year long campaign starts in February, and is backed by several big Dutch genever producers. While the American Alcohol and Tobacco Tax and Trade Bureau (TTB) codifies 41 different types of whisk(e)y, gin boasts only three sublets: distilled, redistilled, and compounded. Meanwhile, genever isn’t officially recognised as a spirit in the US. Dutch producers are hoping to change this with a promotional campaign, which will be subsidised by the European Union as part of the ‘Enjoy, it’s from Europe’ campaign. A number of Dutch producers are involved in the effort, such as Bols, Rutte, Hooghoudt, Inspirits and Herman Jansen. Normally competitors, the companies will attend American trade fairs together to increase awareness. Also, an ambassador programme will be created, sending ambassadors to bars in big cities, to educate bartenders on the virtues of genever. As part of the campaign, study tours will also see groups of vloggers, ambassadors, bartenders and media influencers being sent on a mission to The Netherlands to learn more about genever. Rutte Distillery in The Netherlands has launched the first ever Single Oat Genever. The Single Oat is a 100 per cent malt wine genever, fully distilled from oat. The use of oats as a grain isn’t unusual in genever, but choosing to use only oats is unique. It started as an experiment a few years ago, and at the end of 2017 it resulted in a proud new member of the Rutte family. When Single Oat Genever was first distilled, the distillate turned out slightly too sour for master distiller Myriam Hendrickx’ taste. Maturing the genever for two years in American oak casks turned out to be a masterstroke, transforming the liquid into a rich and balanced drink, with sweet aromas, lifted by the subtle use of spices. Together with the Single Oat Genever, Rutte also launched two other products. The Barrel Aged Genever is another 100 per cent malt wine genever, distilled from multiple grains. Based on a recipe from the 1950s, it matured for five years in oak casks and a total of eight botanicals were used. Finally, Rutte also presented their Sloe Gin. It blends sloe berries steeped in gin with liquid from distilled sloes, combined with a touch of traditional malt wine.